Services: Plumville, Old Mahoning Rd., Smicksburg, Stephenson Rd., McCormick Rd., Home Pa, Philadelphia St., Regency Mall, Indiana Mall, Aldi, Walmart. See Service Notes below for additional information. 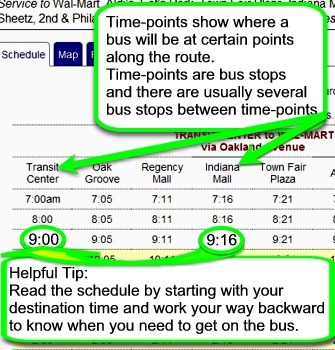 The bus can stop at many places in Indiana to make your trip more convenient. Please inform the driver about where you are going when you get on the bus. The bus begins its return trip to Indiana at 2:00 p.m.